While volunteering in Tanzania, you can never miss going for a safari to spot Africa's Big 5. Keep yourself free for a weekend, just to explore Serengeti National Park and Ngorongoro Conservation Area. Apart from that, there’s so much to do in Arusha that you’ll surely fall short of time. Volunteers also go to the beaches to relax. In Zanzibar, you'll get a lot of things to do, including water sports like snorkeling and Scuba diving. 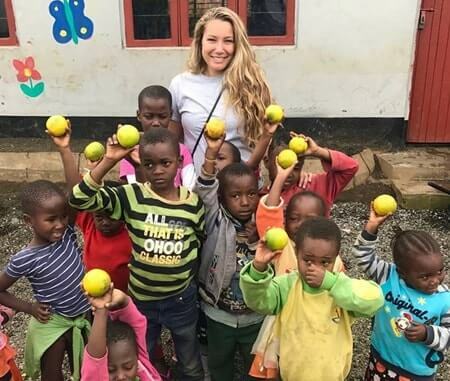 Volunteers in Arusha also head out to Masai village to witness the life of the Masai people and can also take a day trip to Hot Springs or Coffee Plantations near Arusha. There’s actually so much to do in Tanzania, that you might just fall short of time - it’s good to plan your weekends beforehand, to keep time for everything that you wish to do! 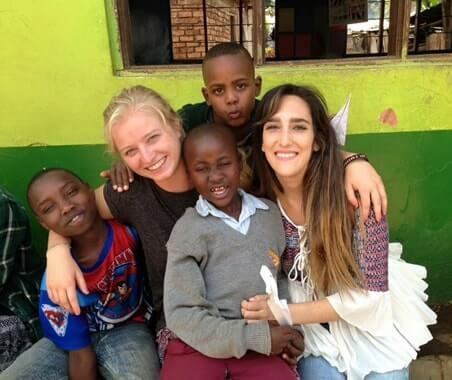 When should I apply for the volunteer programs in Zanzibar? 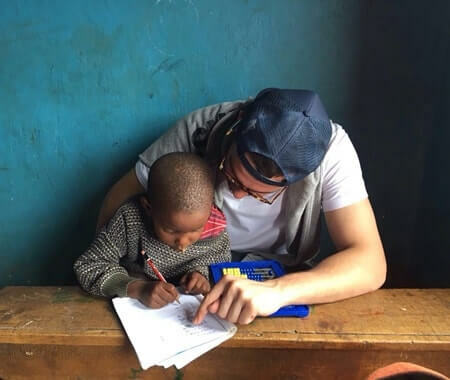 As we have limited spots available in our programs and we serve on first come first basis, it is recommended that potential volunteers book their programs well in advance to get confirmed placements. You can book your slot by filling the application form online and pay the application fee of $250. You can pay your program fee later and also, in installments, however, the complete payment should be made 45 days prior the start of the program. If you are volunteering in a group, you can also fill a group application form. 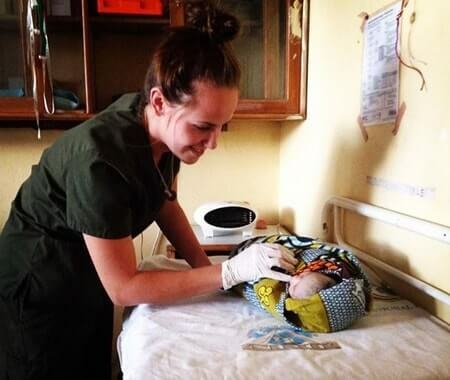 Are there any necessary requirements to participate in the Zanzibar volunteer programs? The minimum age requirement for the programs in Zanzibar is 18 years. 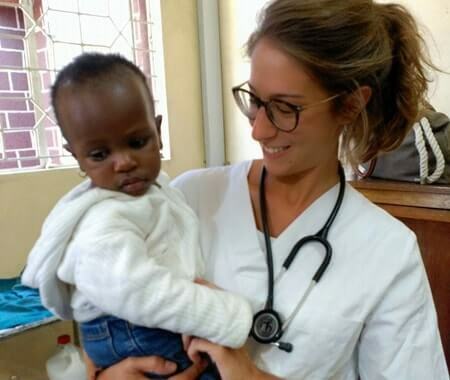 Volunteers joining the medical volunteer project must be either Pre-Medical, Medical or Nursing students or possess other qualifications related to medical and nursing field such as CNA or EMT. Medical professionals such as doctors and nurses are also welcome to join this program. When do I need to arrive in Zanzibar? What will happen once I arrive here? Volunteers are picked up from the Abeid Amani Karume International Airport located in the Unguja Island by the in-country coordinator or representative. Those coming via the sea route would be picked up from their docking station. Upon arrival at either the airport or ferry terminus, you will be welcomed by one of the coordinators who will show you around and take you to your accommodation. After freshening up and getting to know the staff, you will be given an introduction and go through some rules and regulations. Visa in Zanzibar can be attained upon arrival for $50 as the Visa fee. 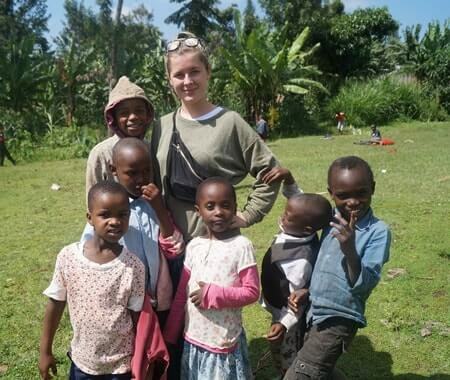 Volunteers also have to attain a volunteering permit of 250 USD upon arrival. You can also write to [email protected] for your visa queries. What are the recommended airline options to reach Zanzibar? There are very few direct flights to Zanzibar and there are mostly charter planes from the UK. For commercial airline users, you will have to fly via Tanzania or Kenya. Connecting flight to Zanzibar is Air Tanzania. You can also catch a ferry from Dar. Ethiopian Airlines fly from London via Addis Ababa and Dar to Zanzibar. 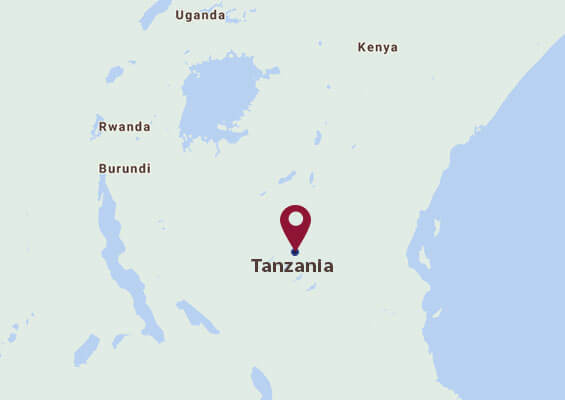 From the USA, there are no direct flights to Tanzania. The best option is to fly from London or Amsterdam. How will I reach the accommodation? The in-country coordinator will be there at the airport to receive you and will ensure that you safely reach the accommodation. How safe is Zanzibar in general? Zanzibar thrives on tourism. The stone town attracts many tourists from around the world. The beach area is crowded with tourists and is safe. However, during the evening avoid going out alone. Consult your in-country coordinator for information on nightlife and where all to go in the evening. Since Zanzibar is a Muslim country, it is advisable for all to dress decently and wear full trousers and full sleeved casual shirts. Beachwear can be worn when on the beaches. Ensure that you are modestly dressed. If you are diving or snorkeling, you may be tempted to collect some shells from Zanzibar's many coral reefs. Please do not, as this kills entire reefs, the devastating effects of which can be seen in the well-trodden areas of the East African coast. Although there are shell sellers, you are asked not to buy shells from them, as it simply encourages this harmful industry. Zanzibar is an amazingly photogenic place but if you want to take photographs of people, please ask for their permission first, out of respect for them. If you are not Muslim, do not enter any of Zanzibar's mosques. Keep in mind that your safety comes with your own behavior and looking for your personal items. Lock your room if possible, give valuables to the coordinators to keep for you and be aware of your surroundings. Zanzibar is alluring to many different tourists and many women from the west will find their African lovers here. Be aware of the smooth talking beach boys that you will encounter and can organize everything for ‘free’ for you or very cheap, there usually is a price to pay somewhere down the line. What immunizations/medicines/vaccinations will I need? Volunteers should carry general medicines along with them on their travel. Medicines like antacid, aspirin and basic painkillers should be carried. You are recommended to take advice from your general physician before you embark on your journey. Your program coordinator will take you to your placement and introduce you to everyone after giving you a basic orientation about the program, city, culture etc.You will be briefed about the local transportation and also about your transfers to the project every day from the accommodation. Your accommodation would be in the Stone Town area. Volunteers stay at the volunteer’s house on sharing basis with other volunteers. The rooms are provided on same gender sharing basis. The volunteer house is very spacious and is equipped with a fully functional kitchen. Meals are provided 3 times a day by the cook who is present at the volunteer house. Your meal will include meat, chicken, seafood, and vegetarian dishes. Within walking distance, you will find the white beaches and clear blue sea of the Indian Ocean where you can swim safely, enjoy sunbathing and watch mind-boggling sunsets. Visit the old forts, museums and beautiful streets of Stone Town. Eat the seafood you can at Forodhani Gardens in the evening. Go on a spice tour to see how cloves, nutmeg and much more are grown. Go swimming in crystal clear water. Snorkel or dive in some of the beautiful reefs of the world. Relax and enjoy the island! Are there more expenses once I arrive in Zanzibar? Your program fee covers your accommodation, airport pick-up, orientation, pre-departure information, and in-country staff support. You will need to cover your personal expenses, such as traveling, telephone, the internet, shopping, sightseeing, return airport drop, weekend tours etc. However, you should carry around $50 - $60 per week for your basic personal expenses, such as water, local transport, phone etc. For an additional extra cost of $50, we can arrange for your airport drop as well. VolSol volunteers usually work for 5 to 6 hours a day for 5 days a week. The working hours can vary and is dependent on your program type. You will have the weekend off so you can go to travel on weekends. Where can I change my money in Zanzibar? Are there ATMs in Zanzibar? There is one Bureau De change at Airport and an ATM point. Also, there is another Barclays ATM point on the way to Pongwe at Mwanakwerekwe Barclays branch, just 10 minutes from Airport. Stone Town also has one Bureau De Change. Most shops in the Stone Town accept Dollars, Pounds, and Euros. 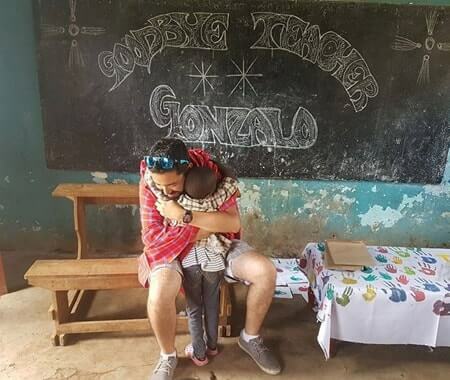 How can I connect with past Volunteering Solutions Zanzibar alumni as well as other former and current volunteers?